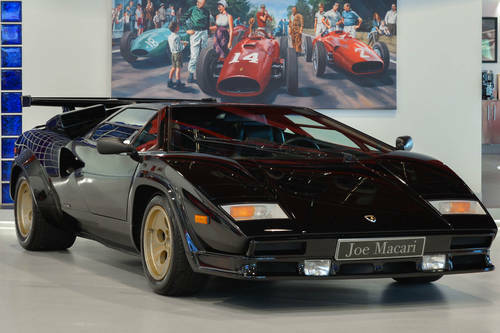 Upon seeing the words "Poster Car" the chances are one singular car popped into your head, Lamborghini's seminal Countach. 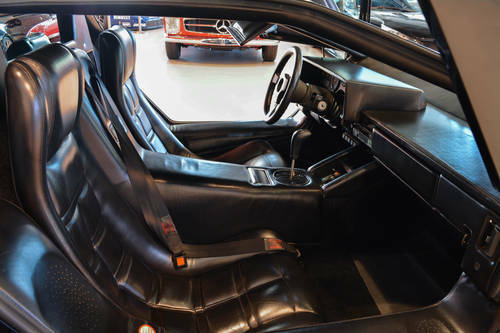 The rear-mid engined V12 animal was produced from 1974 to 1990 and helped to popularise the now widespread cab-forward design concept which pushed the passenger compartment forward in order to accommodate a larger rear-mounted engine. 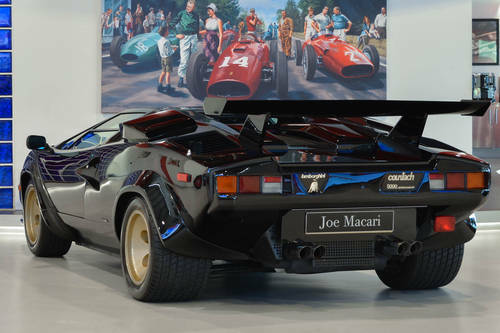 Designed by the absolutely legendary Marcello Gandini, who can count the Lamborghini Miura & Diablo, the Lancia Stratos, the Bugatti EB110 and Renault 5 Turbo among his designs; the car features an instantly recognisable silhouette famous for its angular and aggressive exterior that is a firm fixture amongst most car enthusiast's favourite cars of all time. 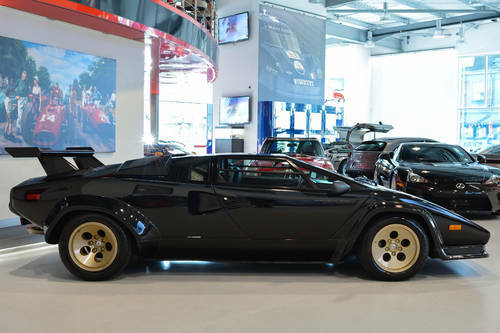 The Countach has the honour of being the first production car to feature the Scissor Doors that Lamborghini is now so heavily associated with. The car is constructed from aircraft-grade aluminium over a tubular space frame, this led to it being incredibly strong and light in an age before the widespread use of composites. 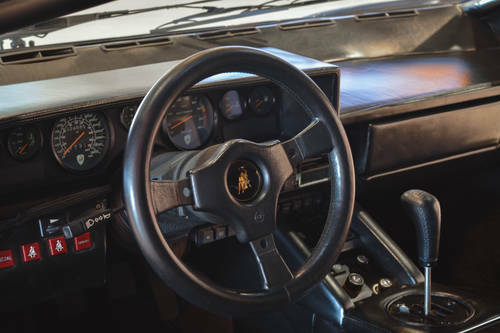 However, this lead to very high and wide door sills, thus the scissor doors were implemented as operating regular doors in an even remotely confined space wasn't possible on the Countach. The car is RWD, driven by a rear-mid V12 mounted longitudinally (a contrast to the Miura's transversely mounted engine.). 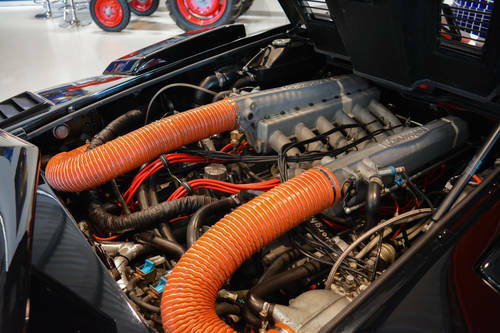 Early cars utilised the Miura's 4.0L engine, though this evolved over time to 4754cc before US Spec cars abandoned carburettors, instead opting for Bosch K-Jetronic fuel injection on the 5000QV's 5167cc engine that featured 4 valves per cylinder; Euro spec cars retained the Carburettors. The car we are offering is an example of the 5000QV, a Californian car complete with aforementioned Bosh Fuel Injection. The engine was bored and stroked to 5176 cc and given 4 valves per cylinder, hence the name Quattrovalvole. The car also featured use of Kevlar body panels, as well as a new digital interface for the interior ventilation. Our example was delivered in 1987 to California before making its way to the UK in 1991. Records show that the car was registered in June of 1991. The history folder is absolutely enviable. Service invoices start in 1991 and show regular service work through the 90's and 00's. Most recently the car underwent an entire engine rebuild, leaving it as new. The invoices from the engine rebuild show over £25,000 worth of parts and labour went into the car; the engine was removed and stripped, all valves were cleaned and ground; sump, crank and oil lines were all cleared & the head was repaired and reassembled. Conrods, engine gaskets, bushes, seals, exhaust valves, inlet valves, bearings, shims, oil filter mount, spark plugs, EGR hose and Alternator Drive Belt were all replaced. 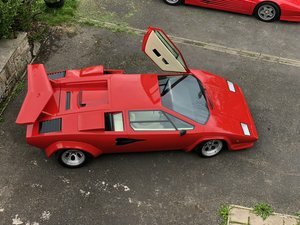 It would be rude to deprive your inner child of the chance to own a Lamborghini Countach, very rarely does an example of this calibre come to market. Don't miss out!